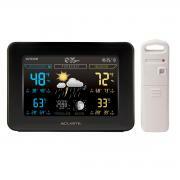 With a good feature set, a good price, and only average reviews, the AcuRite 02027 is an affordable weather station and boasts a variety of features. Overall, reviews of the AcuRite 02027 Weather Station are good, with nearly 80% of customers rating this unit as 4 stars or better. However, there are a number of negative reviews (10% of reviews are only 1 or 2 stars), so be sure to check them out before making a decision. It's hard to find a weather station with all these features without spending hundreds of dollars. This one has it all including time, date, moon phase, and forecast. All this for nearly half the cost of even the cheaper high end models. Accurate and it works great. Set up is extremely easy. 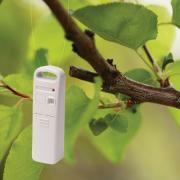 Just plug in the unit and install batteries in the sensor. The outdoor sensor is inaccurate and the display screen is very hard to read. What use is a color screen if you can't read it? The screen is nearly impossible to read without changing your viewing angle constantly. Much too dim.